Sister Paula Gonzales is known as the “Solar Nun” for transforming a huge chicken barn into a solar home. She is 81 years old and a Sister of Charity in Cincinnati. She also has a Ph. 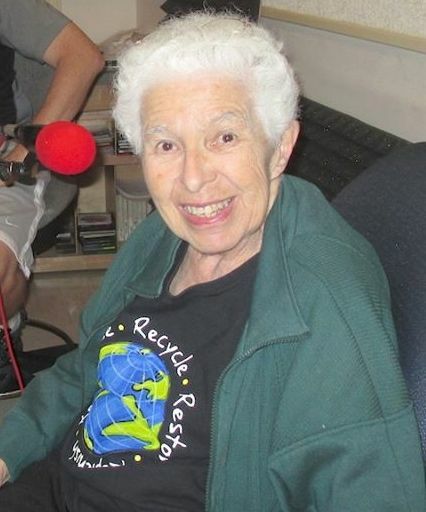 D. in Biology and has given over 1900 presentations on energy, ecology, and ecospirituality. She visited the Tri-Cities in April as a guest of Carol Landis and the Green Interfaith Network (Facebook). I caught up with this remarkable person on Religion For Life to discuss ecospirituality. Thursday, September 4th at 8 pm on WETS, 89.5. Saturday, September 6th at 1 pm on KZUM, 89.3. Sunday, September 7th at noon on WEHC, 90.7. Sunday, September 7th at 2 pm on WETS, 89.5. Monday, September 8th at 1 pm on WEHC, 90.7. Wednesday, September 10th at 6:30 pm on WEHC, 90.7. Via podcast beginning September 11th.